Wholesale Wine Slush, Cocktail Drink Mixes, Dip Mixes,Salsa and more. This new drink is flying off the shelf. We are trying to keep up with the demand. the fruity taste of Grapefruit and Tangerine has this drink at the top of the morning drink menu. Blender Option: Wine Blizzard Slush: You have to try this terrific mix with white wine. In a blender just add 1 package of the mix, 3/4 of a 750 ML bottle dry white wine, or champagne. Fill blender with ice, blend, and you are in for a real treat. 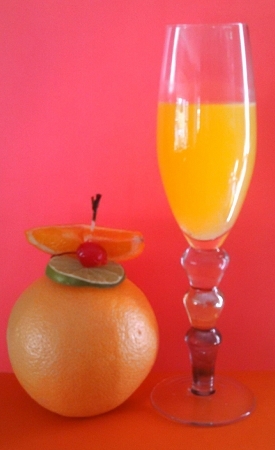 The Mimosa makes an excellent drink for brunch. 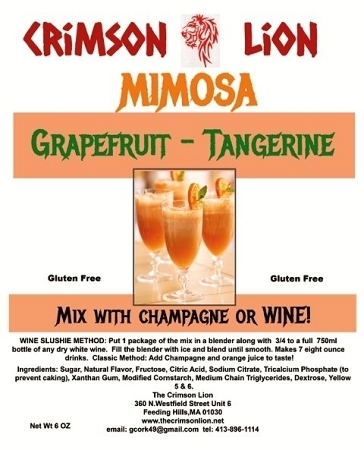 Copyright Crimson Lion Specialty Foods & Drink - Wholesale & Retail. All Rights Reserved. eCommerce Software by 3dcart.